The annual report of the UW-Extension MG Program documents the activities of MGVs throughout the state in a brief executive summary, provides statistical information on MGV volunteer hours reported in Wisconsin, and includes one-page narrative reports submitted by local associations. 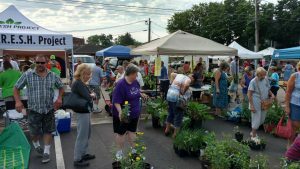 In 2018, Master Gardener Volunteer activity was recorded for 67 out of 72 counties. 53 counties submitted additional information for the 2018 county narratives. 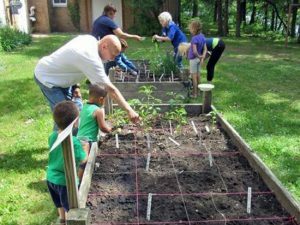 At the end of 2018, 3054 Master Gardener Volunteers reported over 179,000 hours of community service, equivalent to $4,300,764 (Independent Sector). 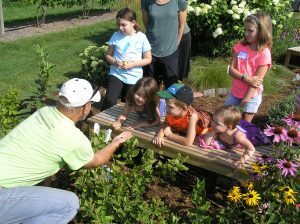 Since 2001, Master Gardener Volunteers have contributed 1,313,350 hours of community service, equivalent to $61,151,496 (Independent Sector). MG training was offered in 32 counties, and 471 individuals successfully completed the course and the volunteer requirement of 24 hours. Also, 2583 volunteers successfully completed the recertification requirements of 10 hours continuing education and 24 hours of volunteer service. 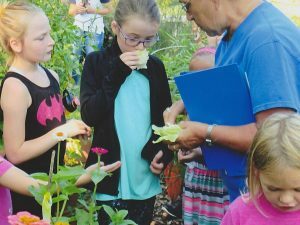 34 counties reported Master Gardener Volunteers (MGVs) being involved in a total of 113 community gardens with over 101,627 pounds of veggies donated. 53 counties reported projects at at a library, fairground, municipal building or other public space. 18 counties reported projects at the local botanical garden/arboretum or UW agricultural research station. Additional contacts reported with tribal entities, Hispanic families, veterans, people in correctional institutions, residents in senior centers and assisted living centers, individuals with sensory, cognitive, and physical limitations, staff and clients at food pantries, county partners (Aging and Disability Resource Center, parks, land conservation, Department of Health), individuals in alcohol and/or drugs treatment facilities, and families of low socioeconomic status.